With the mediating help of Sophia, the divine feminine principle of wisdom, we can decode the inner meaning of geometric shapes, numbers, and other symbols through intuition, to enrich our experience of living and deepen our appreciation of the mystery of form. Life has come out of the sea, and as it did so millions of years ago, it emerged in tiny forms of exquisite design. The geometric web by which creation lifted life into being was preexistent. Its counterpart lies in the seas of our own personal and collective unconscious, as Carl Gustav Jung pointed out. Through awareness we can discover preexisting patterns that can show us meaningful order in the chaos we experience at times in the world, and in our personal lives. 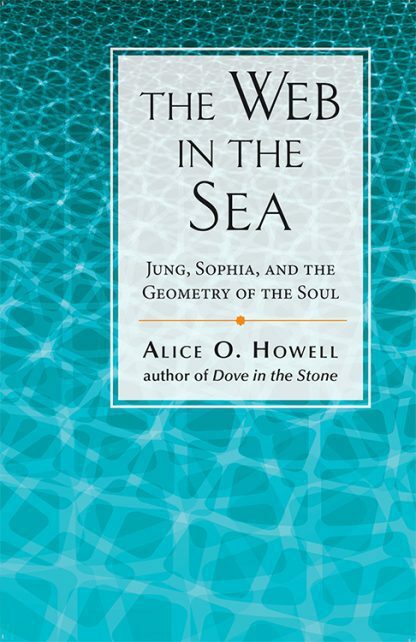 A companion to Dove in the Stone, the book is illustrated with fifty line drawings and figures and includes an entertaining workbook-- "Sophia's Mondayschool" -- with exercises that guide readers in exploring for themselves the mysteries of sacred geometry.